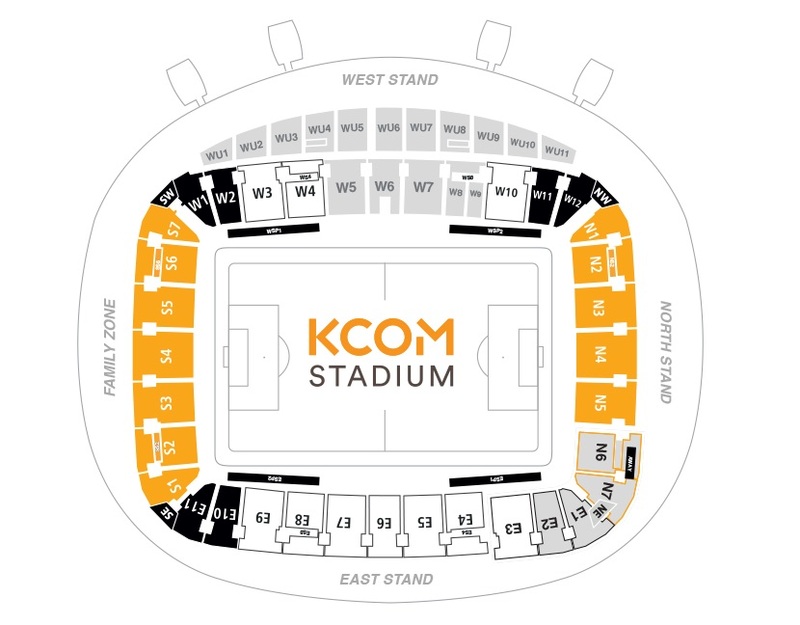 The bowl-shaped KCom stadium contains a continuous single tier of seats with a second tier on the west side and its current capacity is 25,504. Without a single bad seat in the house it's a great place to watch football and was voted football league stadium of the year in 2006. Visiting supporters are situated in the North stand end behind one of the goals. The views are unrestricted and like the leg room and facilities, are exactly what you'd expect from a new stadium. A maximum allocation of 2,500 tickets can be made available but this number is generally kept to about 1,800. There's a few pubs surrounding the ground but the majority are home fans only. Simon Laughlin tells me: Away fans are welcome to drink in the Walton Street Club which is situated opposite the Walton Street car park. There is a £1 door charge for non members and serves excellent food and drink. There's a TV, pool table, darts board and colours are more than welcome. There's plenty of pubs on Princes Avenue which is about a 10/15 minute walk from the ground. These have a more friendly 'cafe bar' vibe, but colours should still be kept to a minimum. There's takeaways dotted around near to the ground and Hull is renowned for it's fish and chips. Try a 'patty', the local speciality, if you get chance! There is a large car park at the stadium available at a cost of £5 per car, which you can enter from Walton Road. Like many other stadium car parks, it can be a slow process to get away again after so advice would be leave early enough to beat the crowds. Street parking is findable but resident parking schemes are in progress so be aware of where you're leaving your car. The nearest / closest train station to Hull City's KCom Stadium is Hull Paragon and it's a 15 minute walk away from the ground. The walk is a simple one: leave through the south side of the station and turn right onto Anlaby Road and continue walking along here until you reach the stadium. Hull Paragon Station is well connected from most mainline stations in the North and South. Refreshments: I didn't visit any pubs as I drove but I found a few pubs driving to find a car park, one which let home and away supporters in. Facilities: Ground: Good views from where I was sat although the article needs updating (time when I wrote this) as away supporters where in the corner when I went and not behind the goal. Weird ground when it comes to the kick off as when fans were singing and trying to create an atmosphere, the stadium just seemed to block it out, best as I could describe it. Enjoy: A decent away game with an easy drive to the game and the look of the ground, just remember to try and create an atmosphere with the ground being weird, lol. 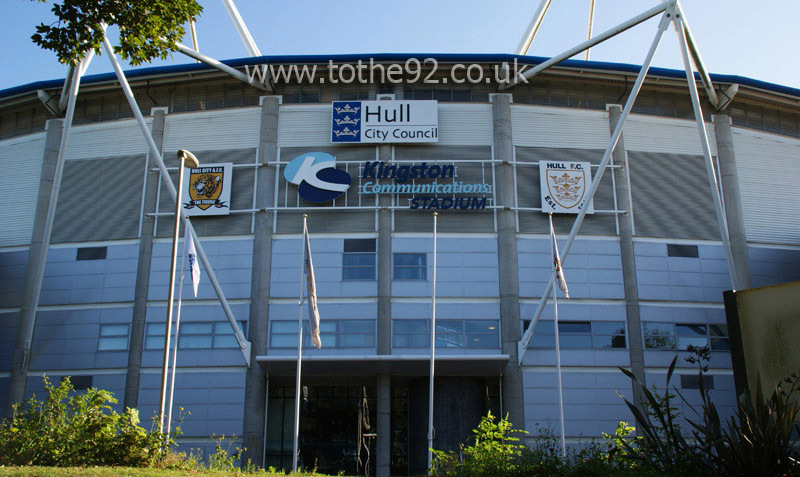 Have you been to Hull City's KCom Stadium? To tell us about your experiences and to feature on the site, simply complete the fans review form below!